To celebrate this week’s upcoming release of Rogue One: A Star Wars Story, IMAX has released a new featurette. 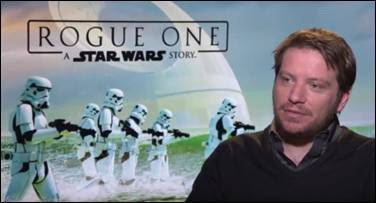 Offering commentary from Director Gareth Edwards and members of the cast including Felicity Jones, Diego Luna, Donnie Yen, Mads Mikkelsen, and Ben Mendelsohn, the featurette highlights what sets Rogue One apart from other movies in the Star Warsfranchise, as well as the importance of seeing this epic tale on a grand scale. The IMAX release of Rogue One: A Star Wars Story will be digitally re-mastered into the image and sound quality of The IMAX Experience® with proprietary IMAX DMR® (Digital Re-mastering) technology. The crystal-clear images coupled with IMAX's customized theatre geometry and powerful digital audio create a unique environment that will make audiences feel as if they are in the movie.